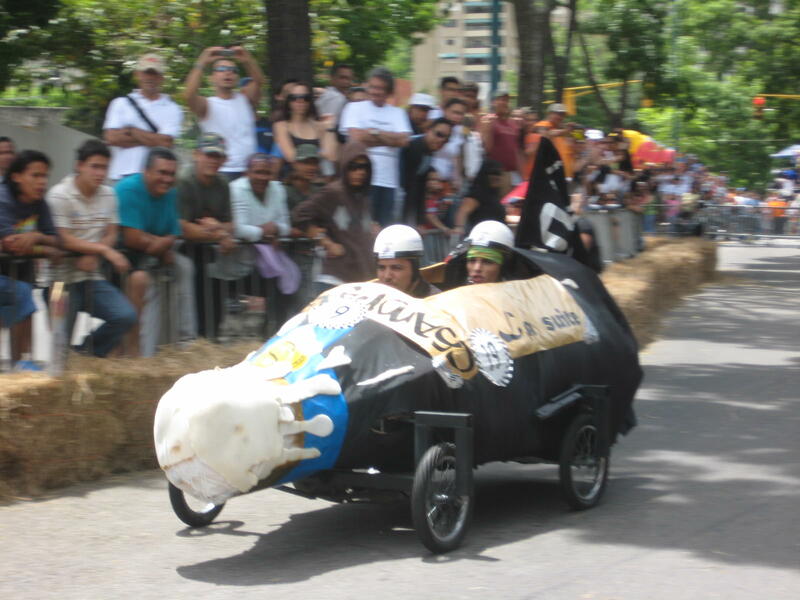 Hello everyone today I bring you a photo gallery of an event held in Caracas-Venezuela called "carruchas race caracas", this was in 2008, a long time ago and on the occasion of 10 years anniversary of that event I will show you the creativity of the participants in what was a true demonstration of speed and emotion. I show them the characteristics and general rules of the competition. 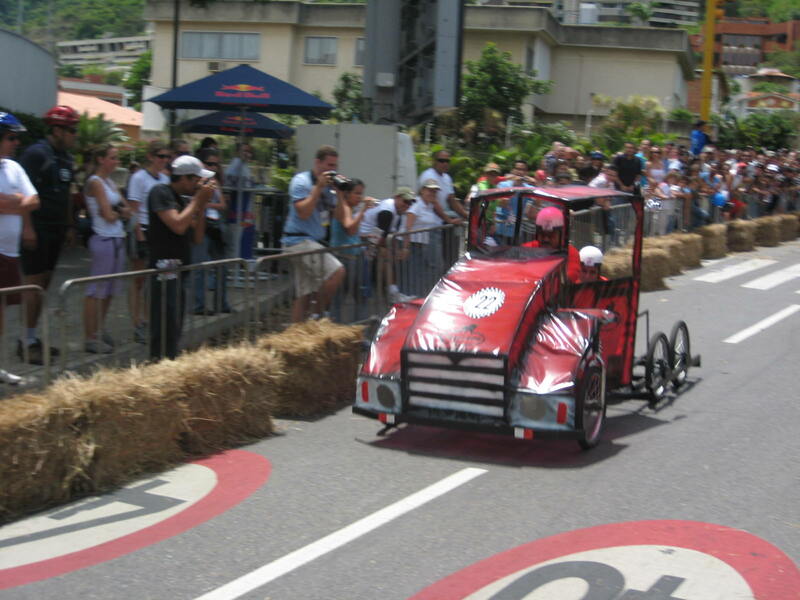 The teams, made up of four competitors, will have to maneuver their cars without motor through Avenida Luis Roche de Altamira. 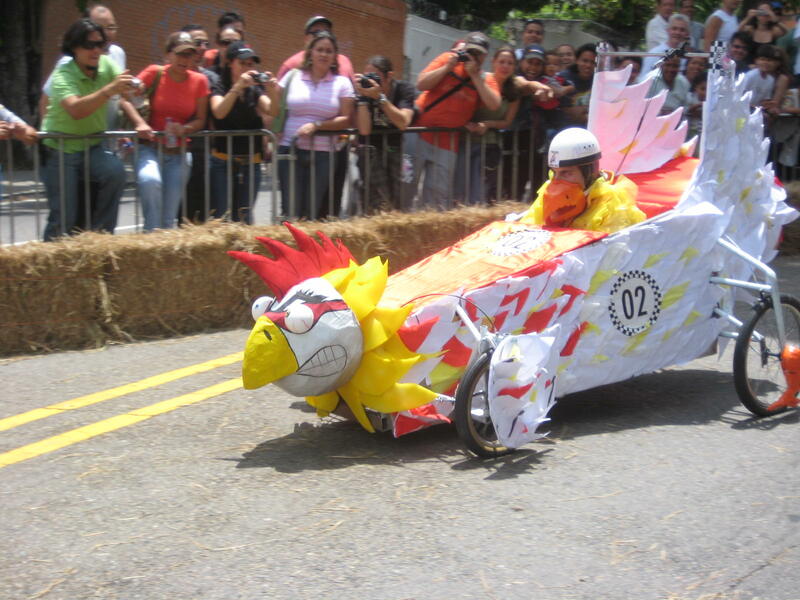 However, these guys will need more than their engineering skills to win this event they will have to prove to themselves their wildest side. 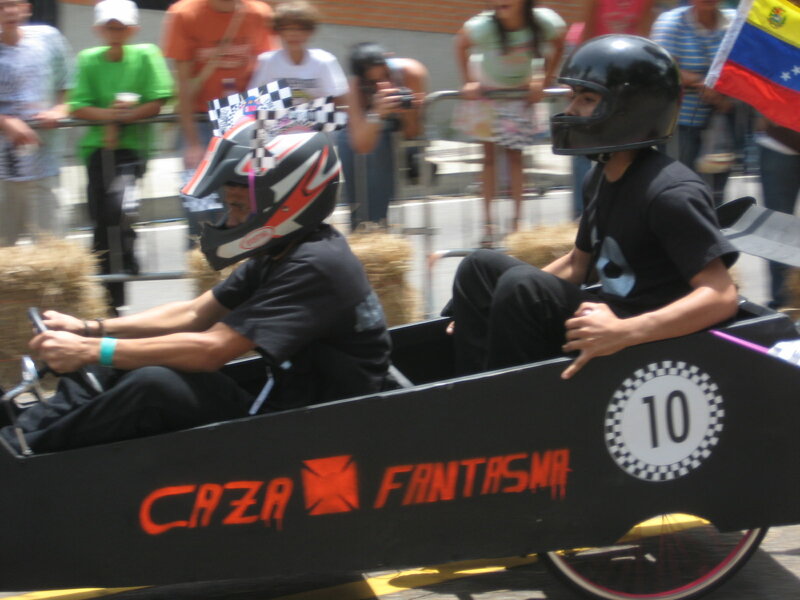 While speed is important, it would not necessarily mean a place on the podium. 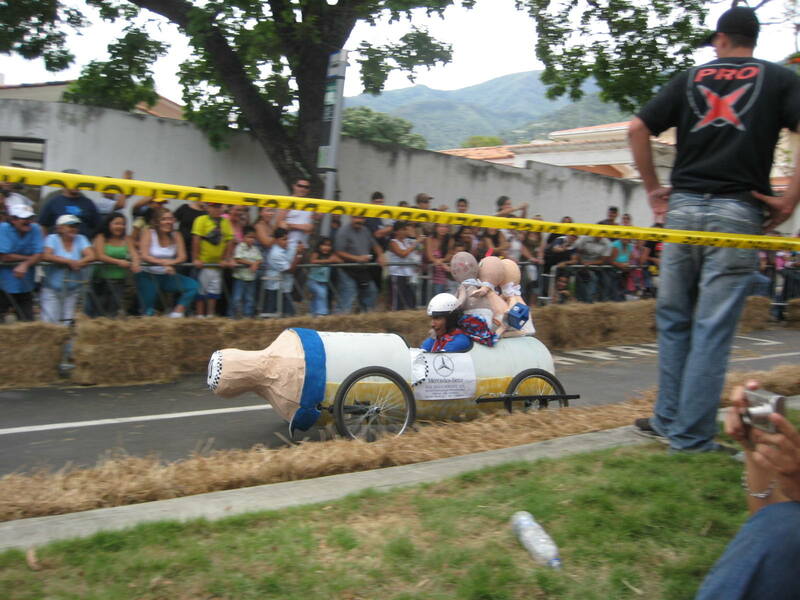 Do not let yourself be fooled, this is not a competition for kids when they're riding in the form of superheroes, baby cars, cars from the seventies or rodeo clowns running down the street !. 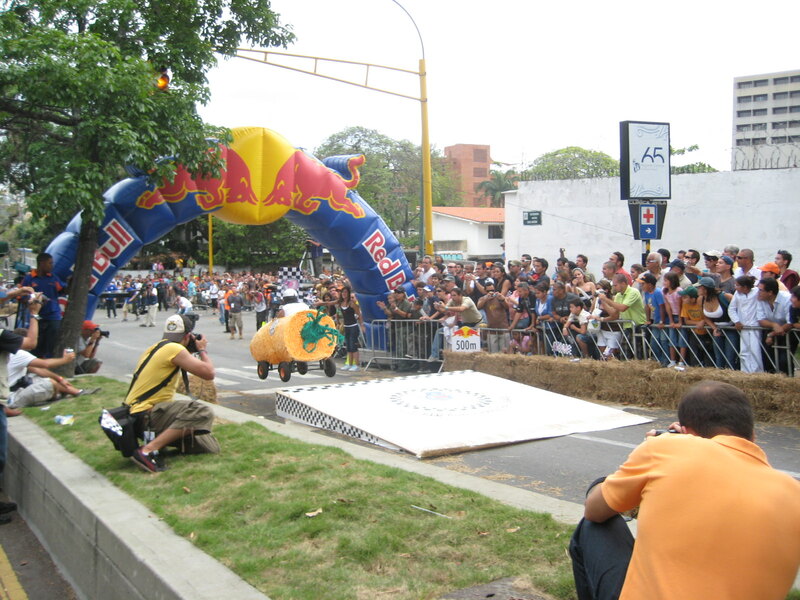 In the Red Bull Carrucha's Race teams are judged by three things: speed, creativity, and the talent to put on a show. 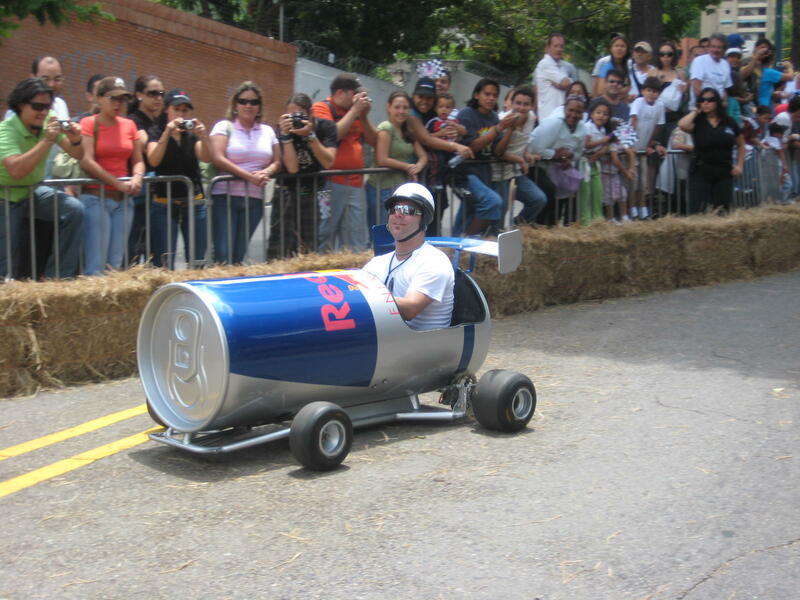 So even if you have good tires, good aerodynamics and a solid construction, you may not reach the podium. 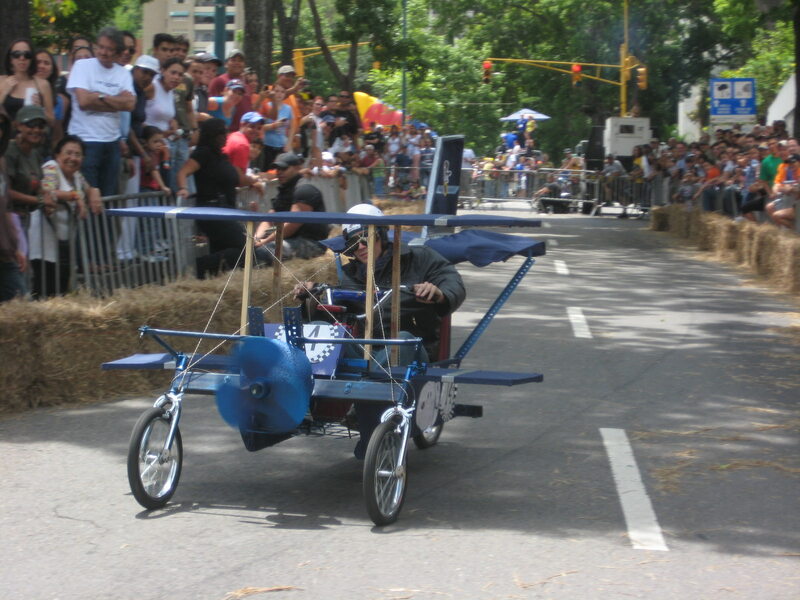 In the past we have seen that the more wild or crazy your car, the better! This would not be a competition if we did not have some rules. Participants must be 18 years or older. All the machines that are presented, must be moved by impulse or human force to be thrown towards the descent. No external sources of energy are allowed to move the vehicles. 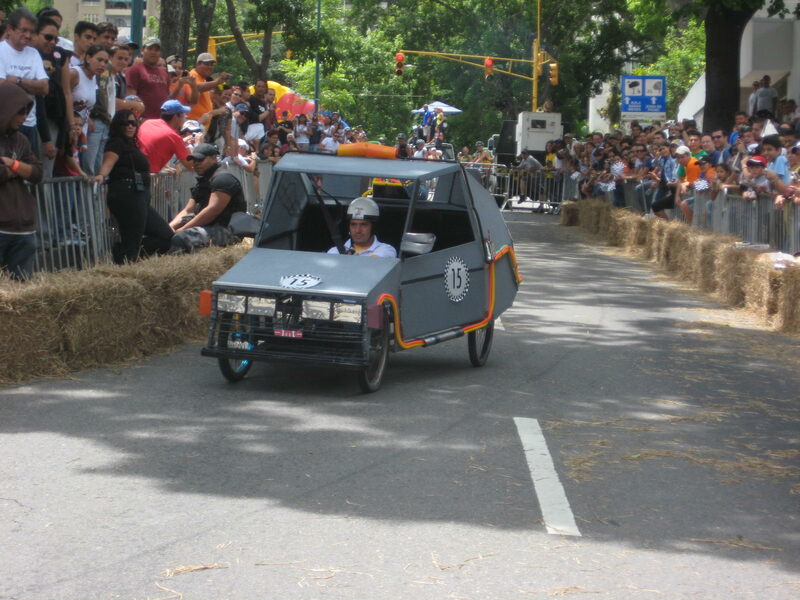 Secondly, the vehicles must not be more than 1.80 m wide, 6 m long and no more than 2 m high. 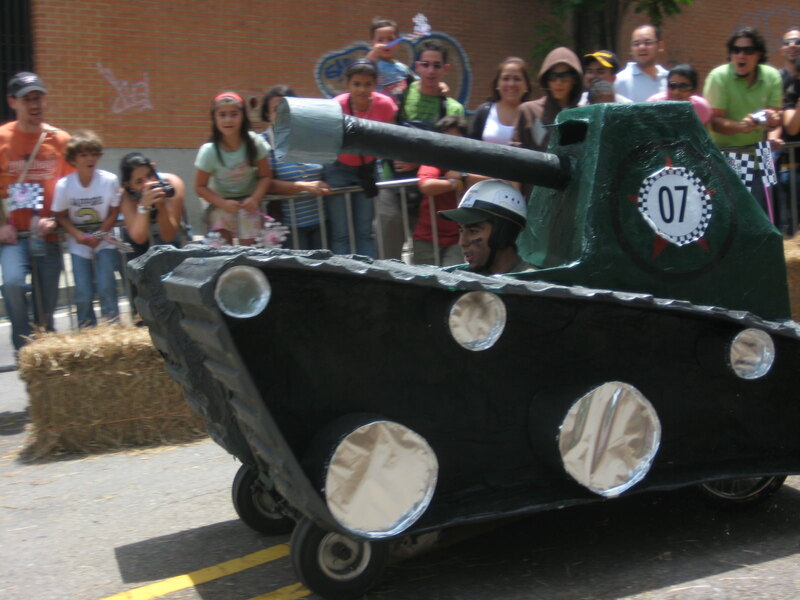 Finally, the carruchas must not weigh more than 80 kilos (without counting the driver). And remember that the unique, weird and extravagant will win! As long as you obey the rules of the game, you can get big surprises. The first place will receive as an reward an incredible experience in a Formula 1 Grand Prix for 4 people with all expenses paid, including airline tickets and hotel. 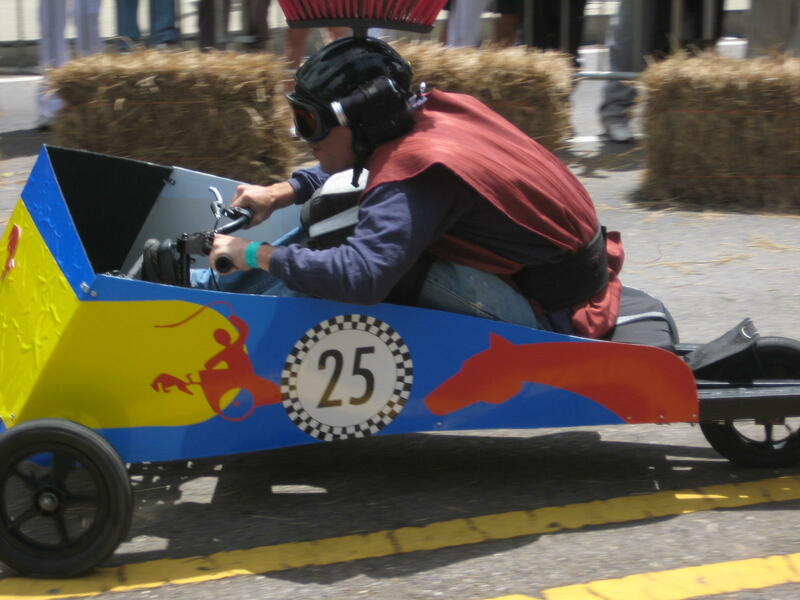 The second place will win a weekend in an edition of Fun Race 4x4 for 4 people and the third prize will be a full day of Go Kart for 8 people. Likewise, there will be a prize to the winner of the People's Choice Award. Do not waste more time! 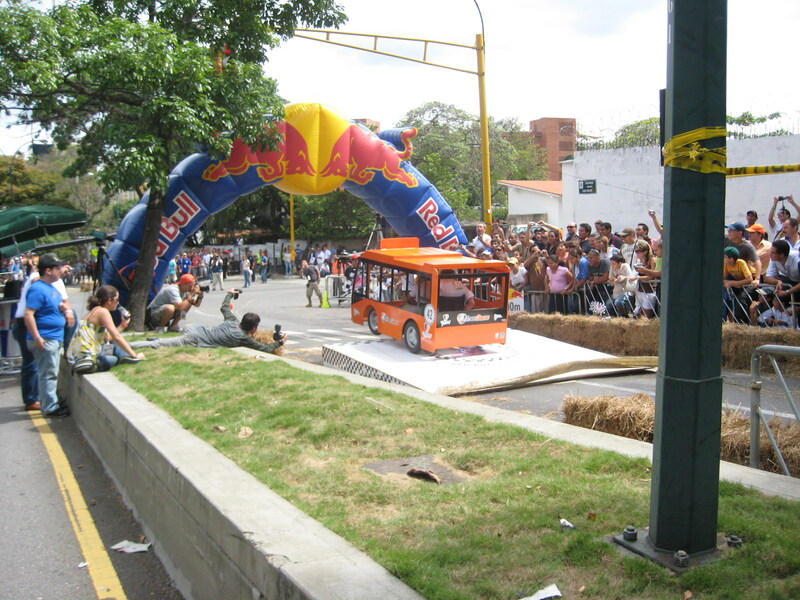 For your motor in motion and test your skills in the Red Bull Carrucha's Race! The first edition of this event was held in Belgium in 2000 and since then it has been held in almost 30 countries including Austria, England, Sweden, the Czech Republic and Australia, just to mention a few. The first time it was made in the United States was in the year 2006, in St. Louis. 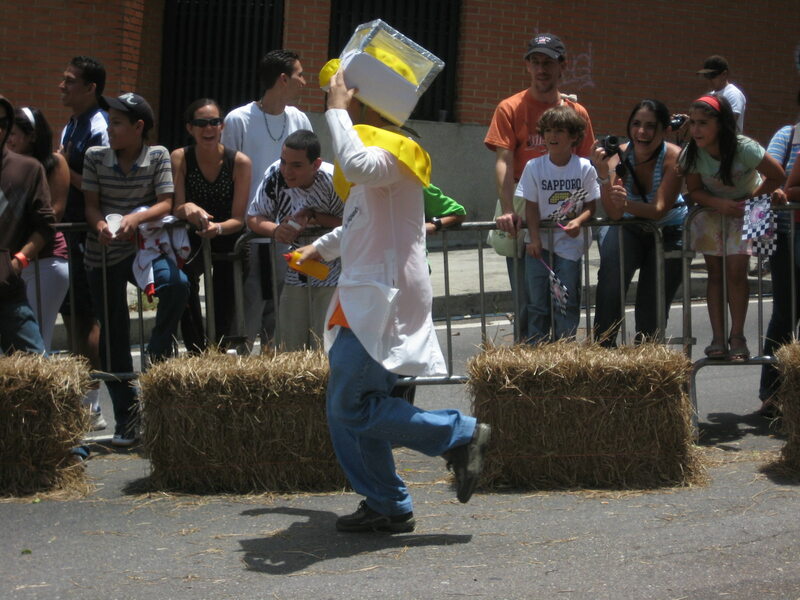 Now I show you the carruchas of the participants of what was undoubtedly an epic event.